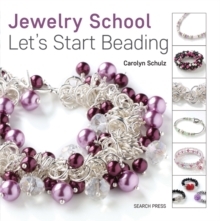 This first book in the new series will get readers started in making beaded jewellery, similar to the hugely popular absolute beginner's course that Carolyn teaches. It introduces people who have no experience whatsoever, and who may never even have tried a craft before, to the basic techniques, tools and materials involved through simple, inspiring projects. 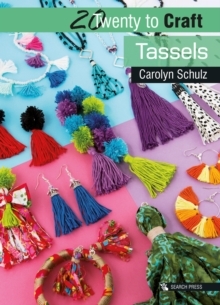 It includes a pictorial 'Jargon buster' glossary of the essential tools and materials used (with both UK and US terms); an index; and 12 step-by-step projects through which people can learn the basic techniques while creating beautiful pieces of jewellery they would want to wear. 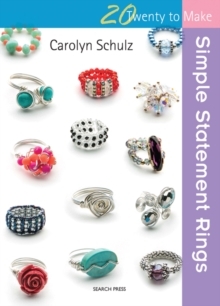 Clear instructions, step-by-step photography and diagrams where necessary create a user-friendly guide. Projects will take no more than a couple of hours, making them achievable in an evening. 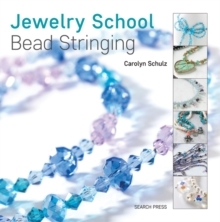 Learn how to use memory wire, beading wire, stretchy cord, chain and jump rings to make desirable jewellery pieces. 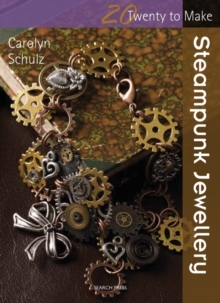 Design tips throughout will encourage beginners to get creative and become jewellery designers in their own right.